Does your home’s curb appeal need improvement? 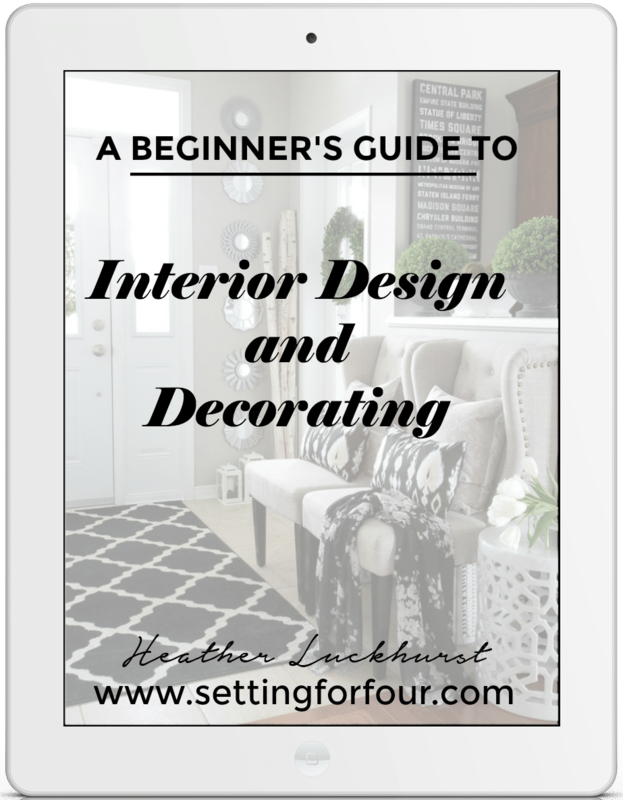 As a home owner and Interior Decorator I’ll explain the importance of a home’s character on the exterior and how to enhance your home’s curb appeal and home value. 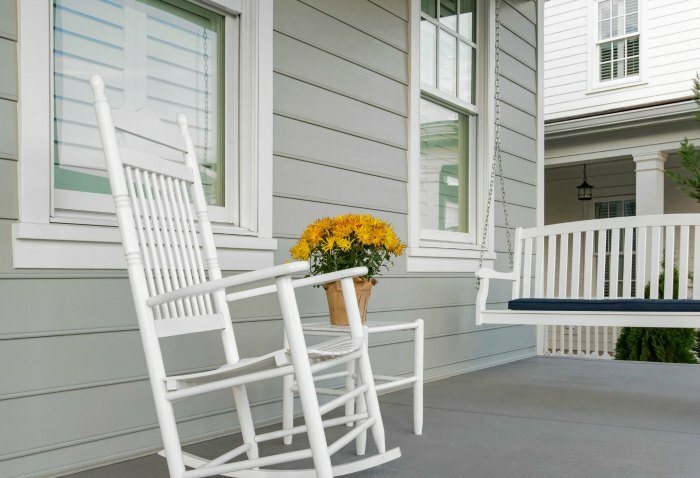 See these 12 curb appeal design elements and porch decor tips to have the best looking house on the block! …and get your FREE Siding Inspiration Guide to make your dream home a reality! Today I’m so excited to talk all about curb appeal, why it’s important and how to increase it in your own home. I’ve also created a design board of a dreamy home exterior and porch to give you some visual inspiration! Improving your home’s curb appeal is so important in practical ways and also aesthetic ways. 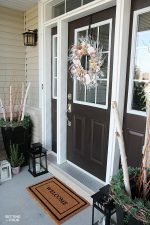 Having great character on the outside increases your enjoyment of your home and lifestyle when you pull into your driveway and your home has an inviting welcoming look! A beautiful curb appeal design also increases the value of your home! James Hardie siding is the perfect choice to keep your home in great shape, protect the interior and your home’s contents! Their siding stands up to storms, harsh weather, is fire resistant and is water resistant to protect against swelling, warping and cracking; also resists mold. James Hardie uses ColorPlus® Technology for superior color consistency and less fade over time. Of course it also gives a great first impression to friends, family, your neighbors and potential buyers if you’re looking to sell! 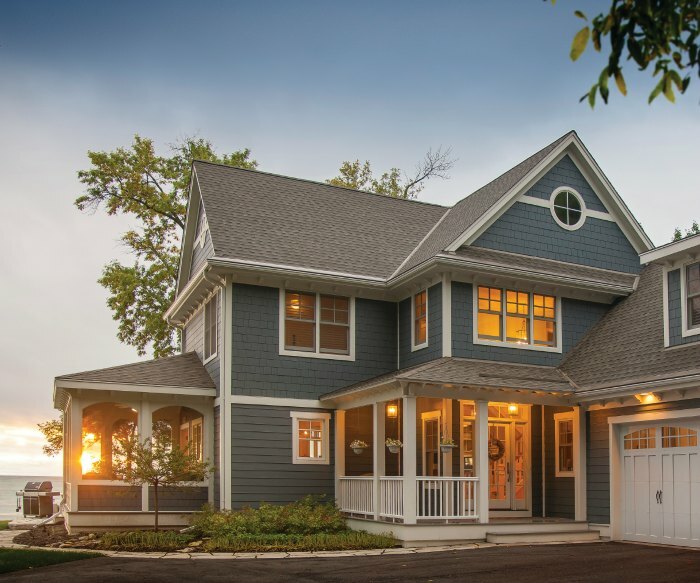 With HardiePlank® lap siding, HardieShingle® siding and HardiePanel® vertical siding, you have the design versatility to achieve a look that’s distinctly your own — like this house! Consider mixing profiles to add visual interest and accentuate your home’s most inviting features. …and talk about a FABULOUS warranty! James Hardie stands behind its siding 100% for 30 years and behind its trim 100% for 15 years. What great peace of mind! 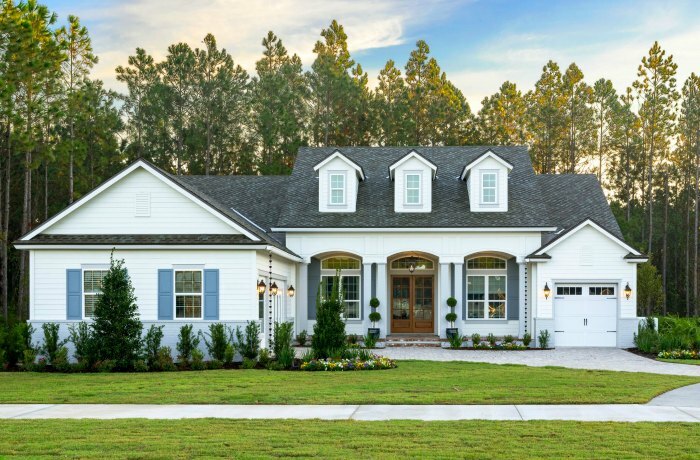 To help you make your dream home a reality James Hardie has a gorgeous FREE Inspiration Guide filled with tons of beautiful siding photos on real homes! Get it here. 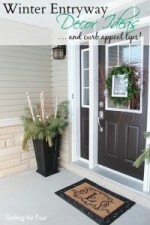 What a great way to plan your curb appeal improvement project! The hottest trends in siding are white and gray but James Hardie also makes all beautiful neutral colors including tans as well as gorgeous greens and blues! James Hardie has got you covered! Design Tip: Choose a siding color that coordinates with your roof color, home’s brick color and stone color. 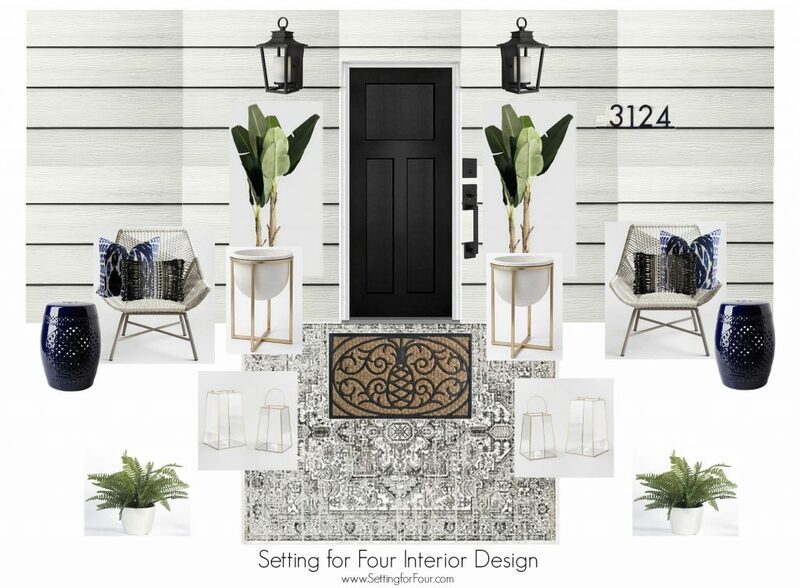 White homes are all the rage right now – so my entryway design shows how you can create a timeless, stylish entryway with James Hardie Arctic White siding! Paint your front door color classic, sophisticated black (which will go with any color siding you pick) or go with a gorgeous blue or green. You can see my front door color here – it’s a gorgeous rich brown-black that I get so many compliments on! If you are on the bold side choose a front door color in a vibrant color or a rich jewel tone! Increase your home’s curb appeal in a jiffy by replacing dated hardware with a new door handle set! This beautiful black one (comes in 4 other finishes!) with SmartKey® protection looks so elegant on the black door. Lantern wall lights hung on both sides of the front door gives lighting for safety – and when put on timers – gives a gorgeous glow to your home at night! I love these black lanterns! They are elegant and really pop against the white siding! 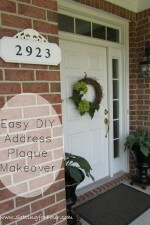 Update your home’s curb appeal with a new house address wall plaque like this one. It’s sleek lines and classic style will make your address easy to read both day and night! Add a tall planter to each side of the door to increase your curb appeal and create vertical height! Make your front door a stylish statement with beautiful white and gold planters like these! 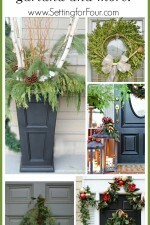 Adding real or faux plants to your porch adds color and life to the front of your home. I’m seeing these faux banana trees in interior design everywhere lately – they are a big trend right now and I think they look just stunning by the front door in the gold planters! Total wow factor! Plus they draw the eye up and give vertical visual interest! Also add a couple of smaller planters if you have the space! The more greenery and flowers the better when it comes to curb appeal! Potted ferns like these are always in style and are real beauties! Toss out your faded, worn door mat with a new one like this sisal pineapple door mat! Isn’t it chic? Did you know that the pineapple is a sign of hospitality and welcome? Perfect for the front door area! Why not layer your door mat with an outdoor rug for more texture, pattern and color? Layering front door rugs like this is a big trend – I personally love it! If you have the space adding 2 outdoor chairs will increase the curb appeal of a home – it just makes a home look inviting and welcoming! Plus they provide a great spot to sit with a drink and watch the sunset! I love the striking woven construction of these all weather wicker chairs and their neutral two-tone palette of gray and ivory. The comfortable reclined seats makes these chairs extra special! Add a throw pillow to your entryway seating to add texture, color and comfort! I’m obsessed with these blue and white print ikat print pillows and the black and white fringe lumbar pillows! Add a garden stool to sit drinks on! They have a small footprint and are so versatile. These navy blue beauties add a sophisticated pop of color! Of course you can go for gorgeous white garden stools too! I love adding candle lanterns to a front porch! Candles with timers that automatically turn on at dusk create such a beautiful glow at night! Shop the look! Click on the images below to shop and see more about each item! 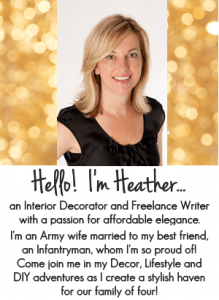 And if you’re looking for design help – I offer online decor services! Send your photos to [email protected] and I can help you select siding, lighting and decor for your porch and home exterior! I hope you love reading all about James Hardie’s gorgeous siding and my 12 Amazing Curb Appeal Design Elements & Porch Decor Tips! What do you think of my home exterior and porch design plan? Hi, I look forward to your emails and read them with pleasure.. I need a “renovation” of landscaping as it has been there for at least 15-20 years. There are too many plants, bushes and small trees that need to be moved and reconfigured. So many fabulous ideas! I have heard amazing things about this siding, hope to use it when we build our next home. Thanks for the recommendation! Thanks Amy! I love that this siding is so durable and long lasting! My, my, you did it again. Your porch and tips are fabulous. I will be putting them to great use. Thank you so much. Oooo… this is making me itch to work on our curb appeal! The siding options are fabulous. And I love your tip about painting the front door a unique color. Thanks so much Krisy! 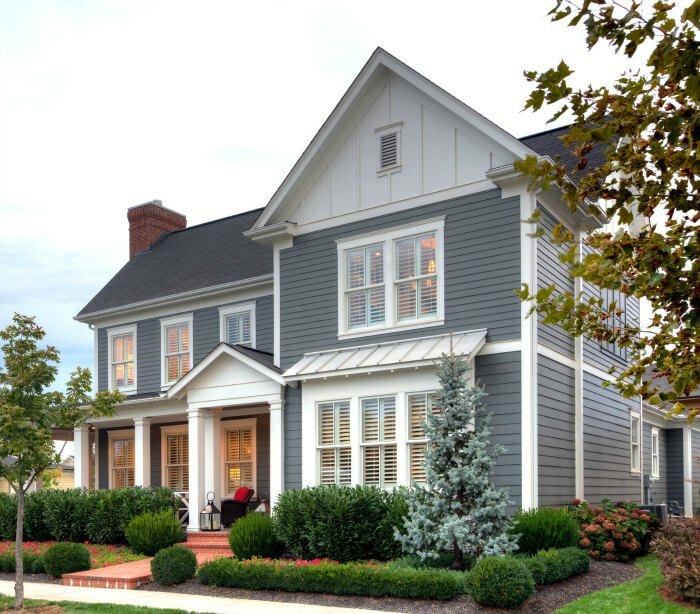 I agree this James Hardie siding is gorgeous! Great tips as usual, Heather, and I would love to get new siding so I am thrilled to see this. I had never heard of James Hardie siding before but now I am checking it out! My front door is orange which is my favorite part of my house! I do need to work on more curb appeal though . . . it’s in process 😀 Love your front door color! Thanks Amy!!! Your front door color sounds so fun!! This Hardie siding makes curb appeal so easy! We bought a house last year, and although we love the inside, the exterior is not our favorite. Someday I will have gray Hardie planks with white trim. Several homes in my neighborhood have it, and I LOVE the look! I love the gray Hardie planks too! I’m so glad you love them too Kara! Such great ideas! Can’t wait to start working on my to do list! 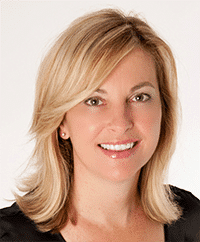 Thanks so much Amy – have fun!